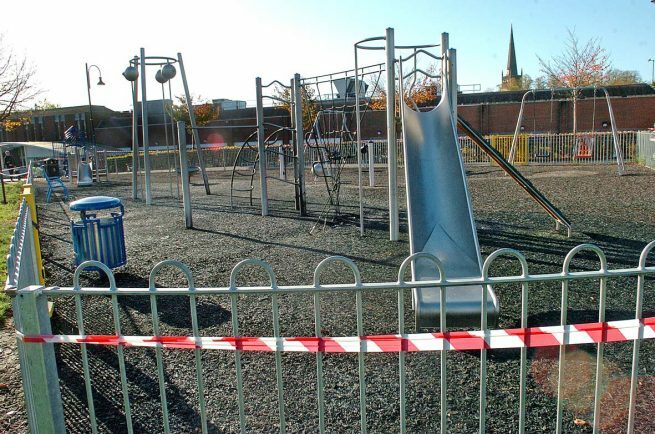 THE DAMAGE caused to the Bromsgrove play area which was set on fire is around £20,000. 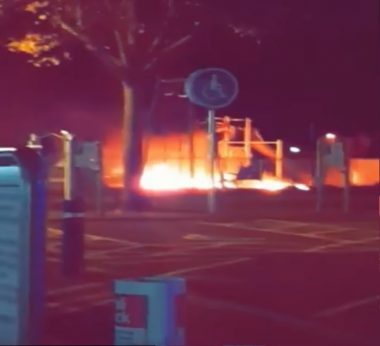 An investigation has been launched into the attack on the equipment at The Rec, outside Asda, at 7pm last night. The group which started the blaze is believed to have been made up of three males and a female. Police now want anyone with any information, or video footage of the incident, to get in touch. Hereford and Worcester Fire and Rescue Service confirmed firefighters used water jets to put out the blaze which took place around 7pm and involved paper and rubber mat flooring. Coun Peter Whittaker, Bromsgrove District Council’s portfolio holder for community safety and leisure and cultural services, slammed the perpetrators. He said: “It’s just a crying shame, particularly as it’s half-term. “It’s the little children it hurts the most who won’t be able to play outside on there now. “It also hits everyone in the pocket. Anyone with any information or video footage should call police on 101 using the log number 0645/s/211018. Alternatively call Crimestoppers on 0800 555 111.